10 Best Day Trips from Lisbon (with photos) - Nature + History + WOW! 10 Best Day Trips from Lisbon (with photos) – Nature + History + WOW! 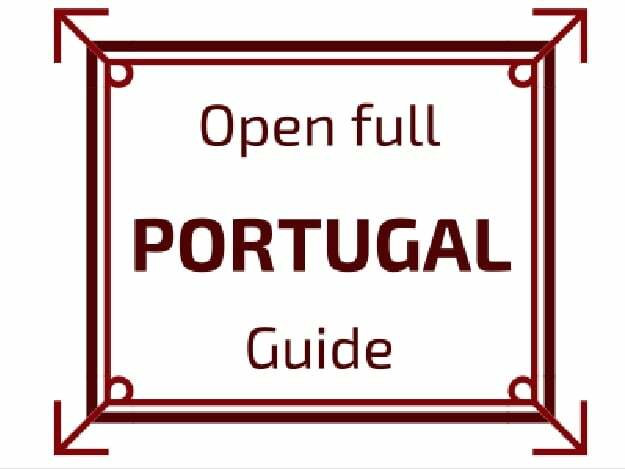 Planning your trip to Portugal and wondering what could be the best day trips from Lisbon for you? Here is my selection of the top 10 destinations within a day - with self-drive information and organized tour options depending on if you want to drive or not. Time to plan! For those who do not want to go on a road trip and change base every night, staying in Lisbon for a few days is a great option. There is much to see in the city (see my Lisbon City break guide) and a wide variety of options of one day tours from Lisbon. Organized Tours - for those who don't want to drive there is a large selection of organized tours in small groups or private tours. I find price reasonable. If you are 3 or 4, check out the private tour, it might not be more expensive! Note that the tours I selected are from Viator or GetYourGuide because reviews are from actual traveler (not like Tripadvisor) and I like using them myself. 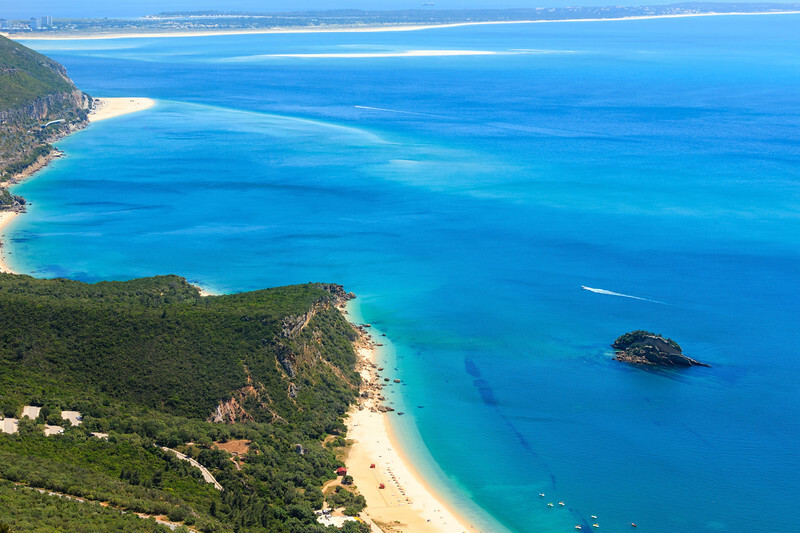 Sintra is home to the Unesco site 'Cultural Landscape of Sintra' with its many palaces and castles. Visiting the extravagant monuments and their beautiful park is quite an adventure! Once in Sintra, you can catch a cab or use the Hop on Hop off bus﻿ses to visit the various palaces or head to the coastline. Other tip: if you are also visiting a lot in Lisbon, the Lisbon Card is a great deal. Many Lisbon attractions are included, you get free transportation including he train to Sintra (but still get your ticket at the booth) and you get 10 to 20% reductions to the Sintra Palaces. I have gone through all the tours on Get Your Guide and Viator and none of them offers a full day visiting several of the palaces. I know some would find that too much but they are actually very different and it would make for a fascinating day. They visit 2 maximum and then go to the coast, as you will see in the next day trip option. I have not found a tour that covers Magoito, but it is already a fantastic day combining architecture and nature! The Tomar convent and is Castle has a long history related to the Knight Templars. It is part of the Unesco World Heritage list. There is much to explore and discover, so take your time and enjoy! On top of Tomar and its amazing convent, this tour will take you on a journey to discover the Knight templars with the Almourol castle. Evora is a vibrant city in the evening. There is a great choice of restaurants. So why not spend the night and the second day you could visit the stunning white village of Monsaraz before driving back to Lisbon. Find our some accommodation suggestions. 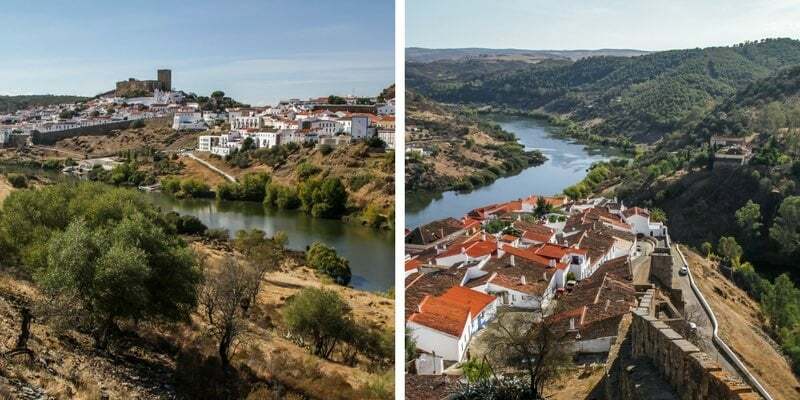 This tour will take you to the see and visit the main sites of Evora. Just sit back and relax. And after that you will be treated to a side stop to learn more about wine in Portugal and taste it. I know this is technically not a day trip, but I absolutely love flying in helicopter. And the site of Sintra with its lush green mountains and beautiful palace is just perfect to fly over. I have not found organized tours for this one. This tour is jsut fantastic. 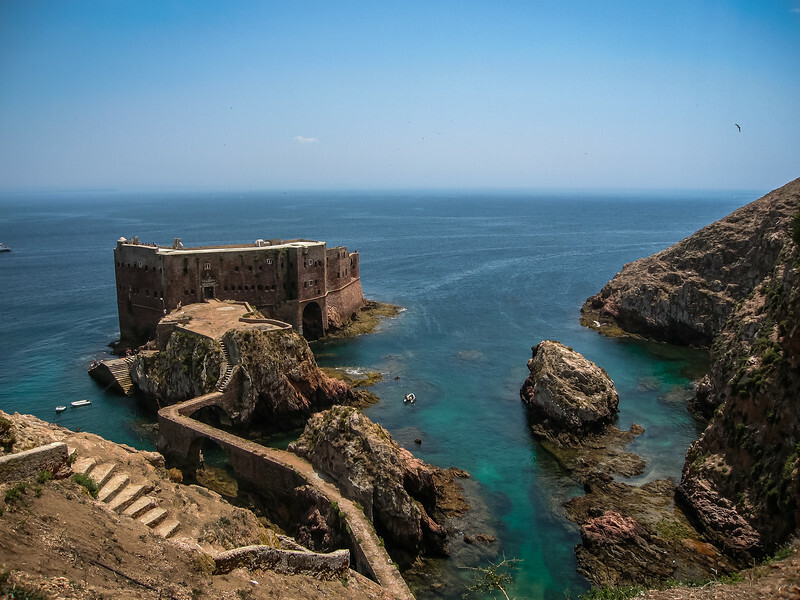 They wll pick you up from lisbon, take you to Peniche where you will board to the main island. You will be able to do enjoy amazing views, snorlel , swim and Kayak around the island to appreciate the nature reserve. Porto is a fascinating city to visit. If you have the time, I recommend a weekend there (check out my Porto Guide). Plan 3h to 3h30 drive in each direction. It is possible but quite tiring! Which one tempt you the most?